This recent powder room bathroom renovation was completed with a lovely tile selection. The floor tiles are a dark porcelain outlaid in a honeycomb pattern. We incorporated custom woodworking in this bathroom which included pinboard wainscoting and chair-rail. 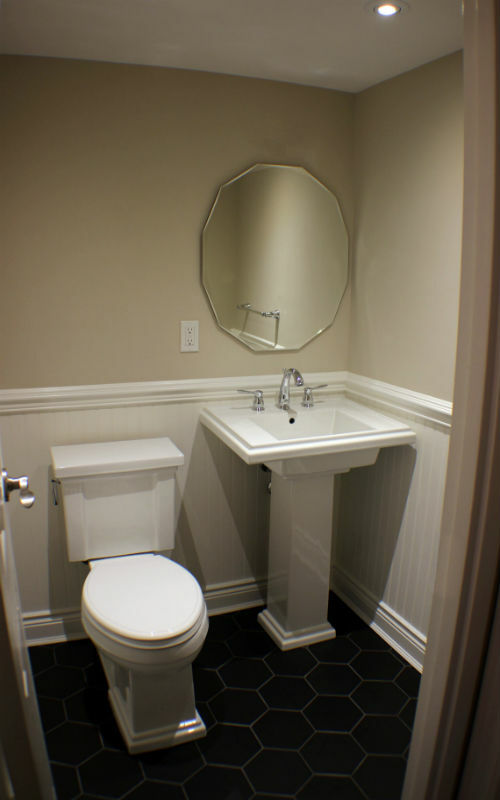 The linear woodwork along with the baseboard complemented this square pedestal sink and toilet which also have a similar base finishing to both of them to match our trimwork.